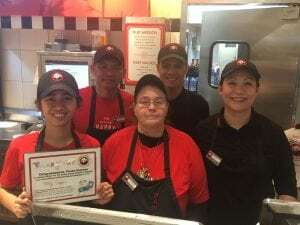 Panda Express' "Project Fortunate" Benefits BBCH! – Panda Restaurant Group, Inc.
Panda Express' "Project Fortunate" Benefits BBCH! Here at The Barbara Bush Children’s Hospital, we feel very fortunate to have the support of our friends at Panda Express. In 2017 alone, the Panda Express location at the Maine Mall in South Portland raised a record-breaking $18,647 to support BBCH! As you can see in this short video, all of those donations at the register really do add up to make a big difference to our patients! There’s no better gift you can give than supporting a sick or injured children, and we thank our friends at Panda Express for their dedication to helping local kids here in Maine and northern New England. You can help local kids get better too: simply make a donation to The Barbara Bush Children’s Hospital at your next visit to Panda Express! Let’s make those donation bells ring!